Our hotel offers a range of 10 thematic rooms. 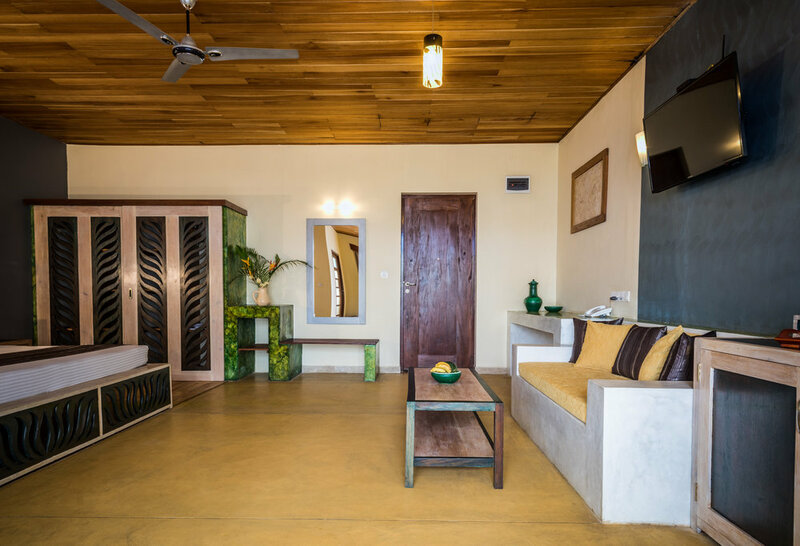 These are all equipped with a private bathroom with shower or bath and are very spacious. Rooms on the ground floor have private terraces and rooms on the first floor with balconies, all featuring a comfortable designer seating. All rooms are equipped with a TV, a safe and a fridge with a minibar and a kettle and a hairdryer. Two of our rooms are suites (apartments). 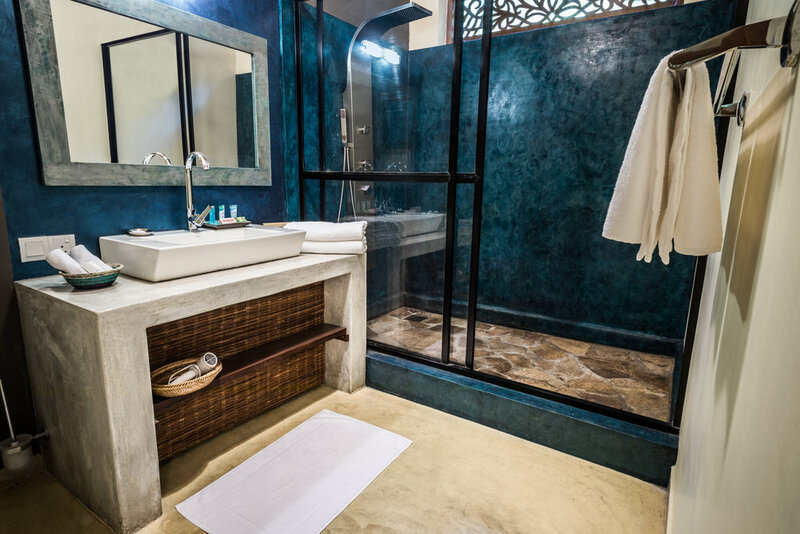 All rooms include bathrobes, slippers and complimentary toiletries. Additional amenities include coffee / tea makers and complimentary toiletries. Both the toiletries and the drinks are Ayurvedic products. Our rooms have a natural air circulation and the temperatures are always pleasant, even at night, for a good night's sleep. Therefore, the rooms do not have air-conditioning systems. Our hotel has a wifi that covers all the rooms. The best signal can be found in the common room of the hotel. A room governed by the Air element. This impression is enforced by unique furniture, fittings and original wall paintings. The room is equipped with a king-size bed and a bathtub. It has a spacious terrace with a comfortable seating area and its own private garden with impressive views of the mountains. Calmness and calmness are the dominant features of Earth Room enhanced by the sensitively chosen interior design and furniture underlying the main theme. It is furnished with twin beds. 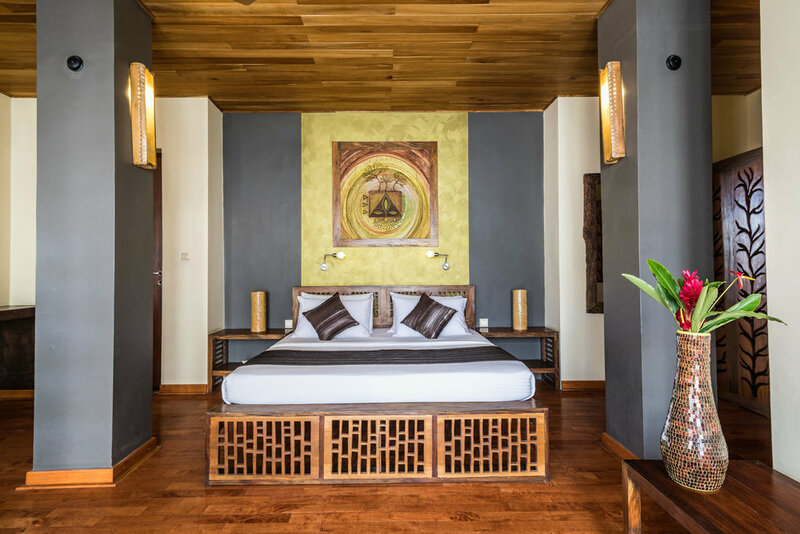 This spacious room has its own terrace with comfortable designer furniture and a front garden overlooking the hotel gardens. The room atmosphere is conjured up by the element of Fire. This impression is complemented by unique furniture, fittings and original wall paintings. The room is furnished with twin beds and is very spacious. 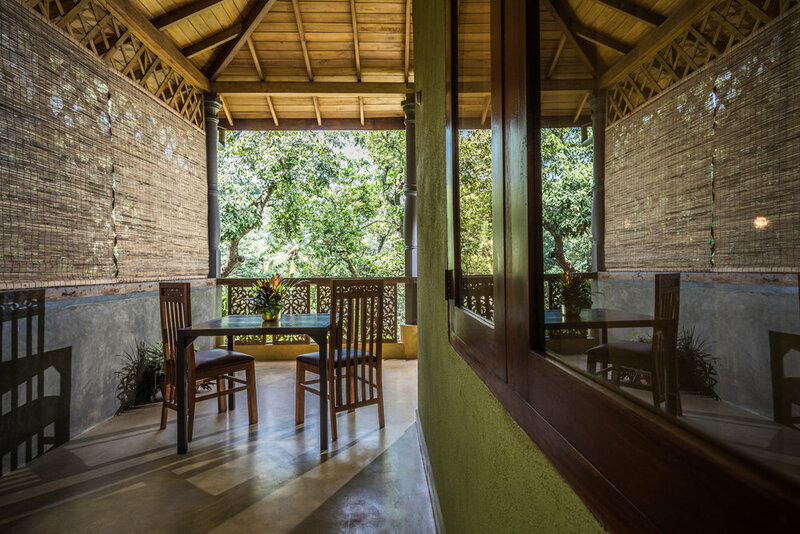 It also has its own terrace with comfortable chairs, and a private front garden overlooking the hotel gardens. 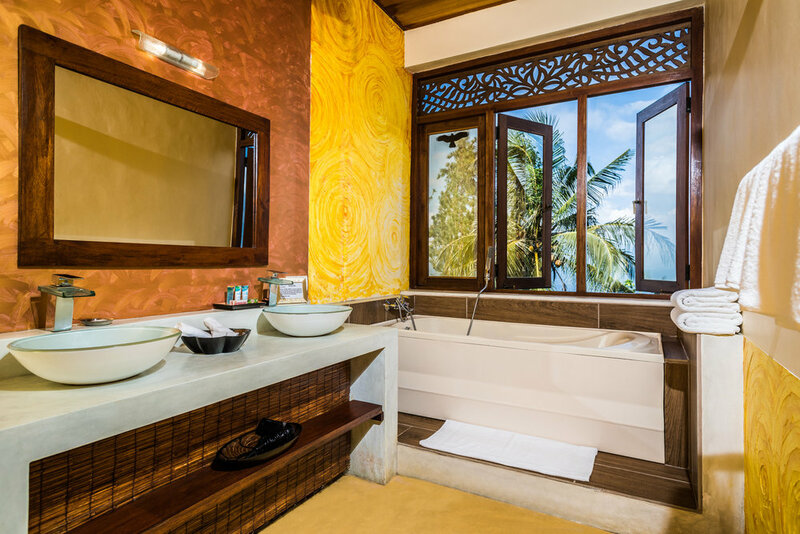 The atmosphere of this room evokes the Ayurvedic element of metal. This impression is completed by unique furniture, fittings and original wall paintings. 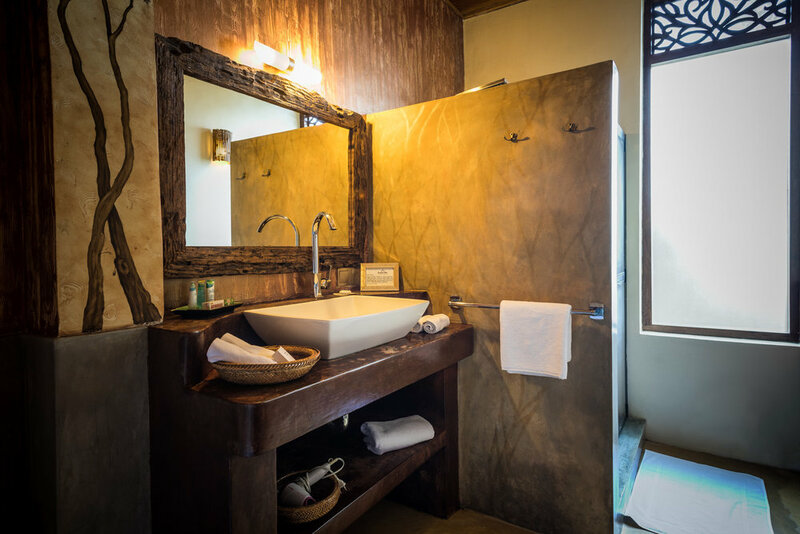 The room is equipped with a king-size bed and a bathtub. 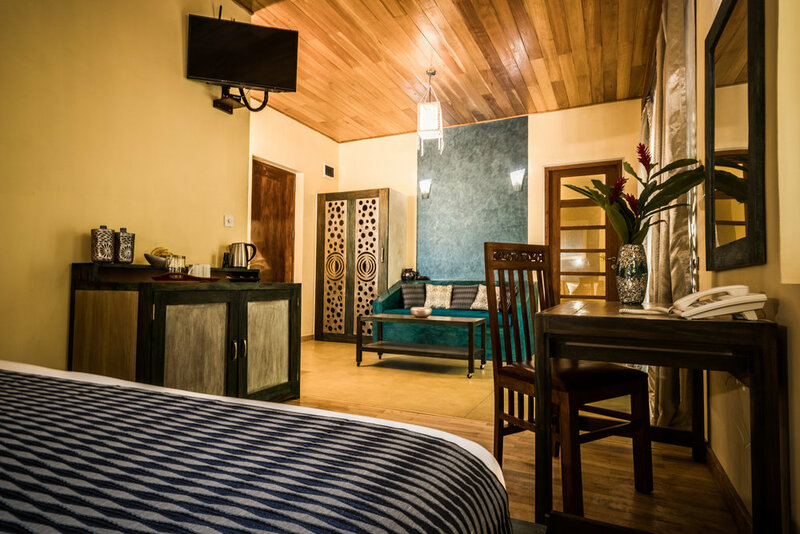 This spacious room has a spacious terrace featuring a comfortable designer seating area and a front garden overlooking the hotel gardens and offering impressive views of the mountains. The theme of this room explores the symbol of the moon with sensitively selected colors, furniture, fittings and original wall paintings. 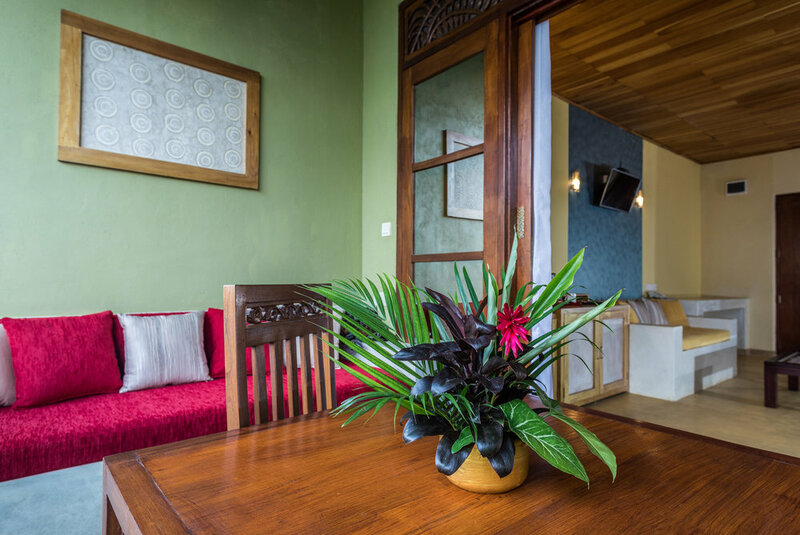 It is spacious, furnished with twin beds and featuring its own large terrace with a comfortable designer seating area and its own private garden overlooking the hotel gardens and offering impressive views of the mountains. Also in this apartment dominates The Moon symbol. The atmosphere is complete with unique furniture, fittings and original wall paintings. The room is equipped with a king size bed and a bathtub. It is the largest apartment in the hotel, with its own wonderfully furnished terrace, plus a garden offering stunning mountain views. The room is governed by the sun. The impression is complemented by unique furniture, fittings and original wall paintings. 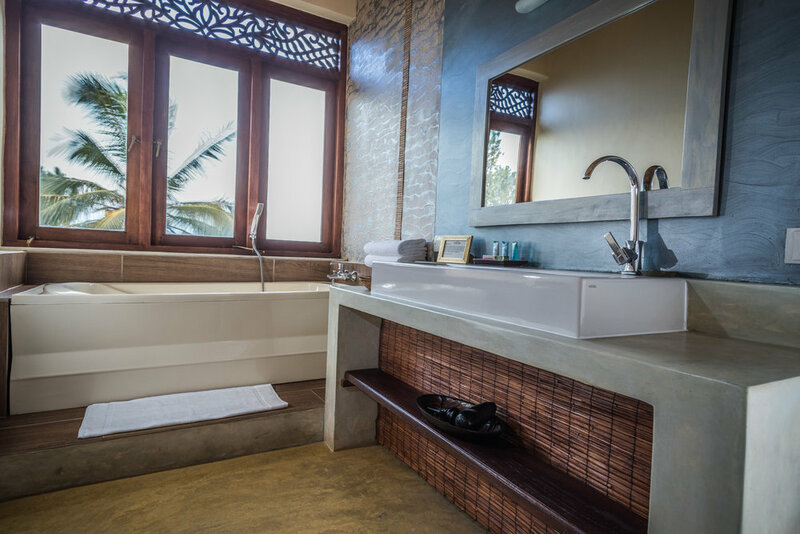 It is furnished with a double bed and a bathtub. 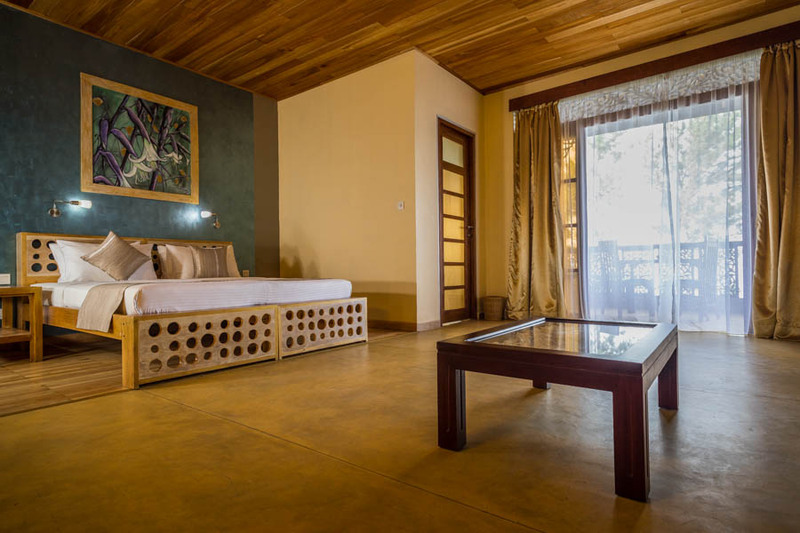 The spacious room comes with a spacious terrace featuring a comfortable designer seating area and its own private garden overlooking the hotel gardens and offering impressive views of the mountains. 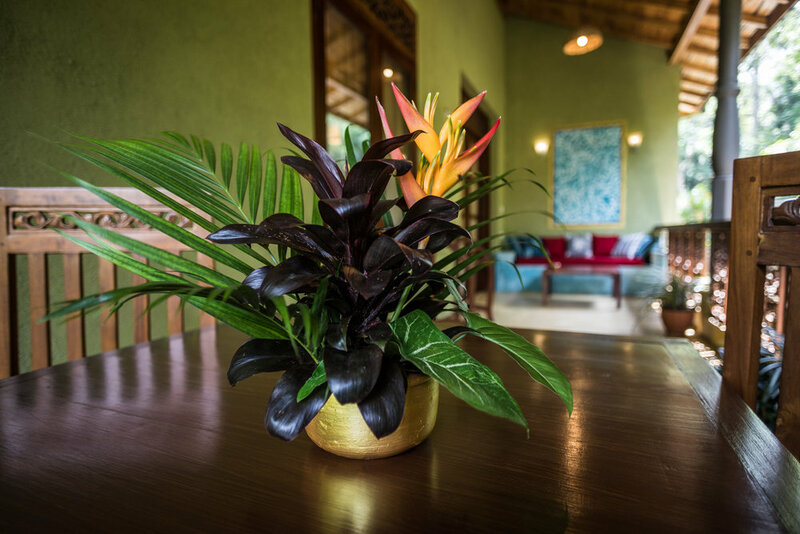 Surrounded by the sun, the rooms are decorated with carefully selected decor and fittings that enhance the theme. 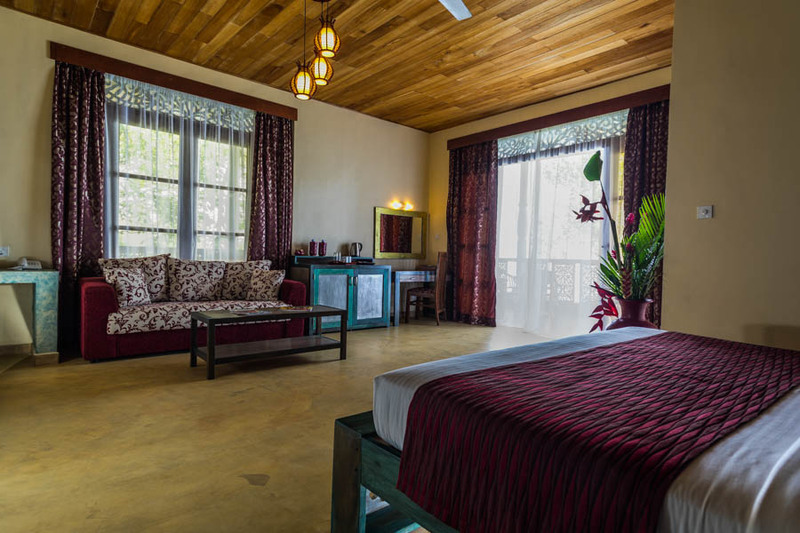 It is furnished with a king-size bed and a spacious bathroom. 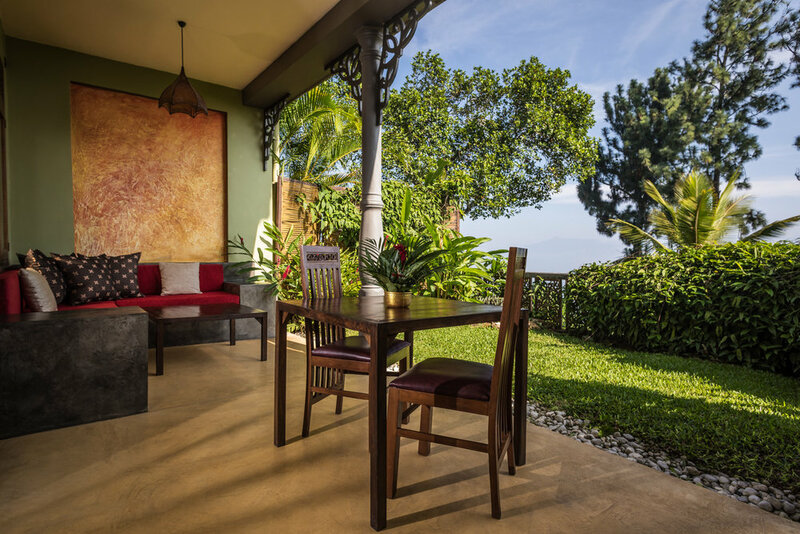 The apartment has a large terrace with a comfortable designer seating area and its own private garden overlooking the hotel gardens and offering impressive views of the mountains. The element of water dominates this room creating a wonderful ambience, enhanced by the sensitively chosen interior design and furniture. It is furnished with a double king size bed. The spacious room has its own a terrace featuring comfortable designer seating and a front garden overlooking the hotel gardens. 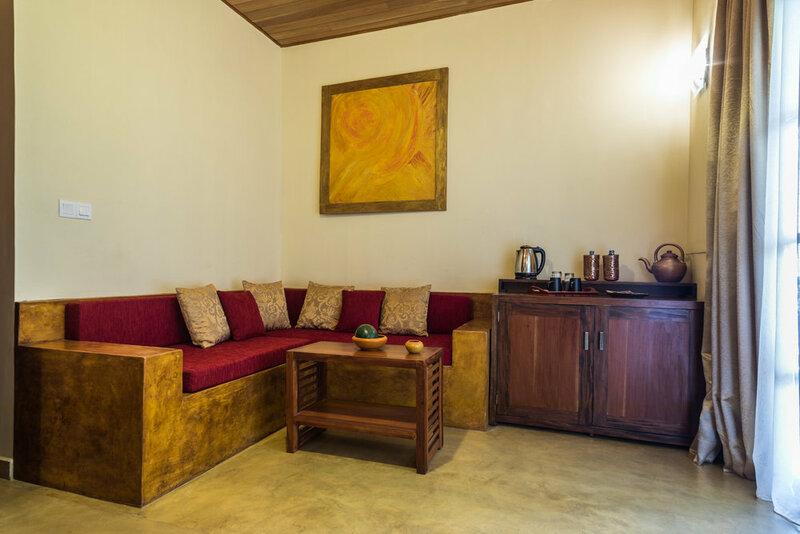 This room evokes the atmosphere of the Ayurvedic element of wood. 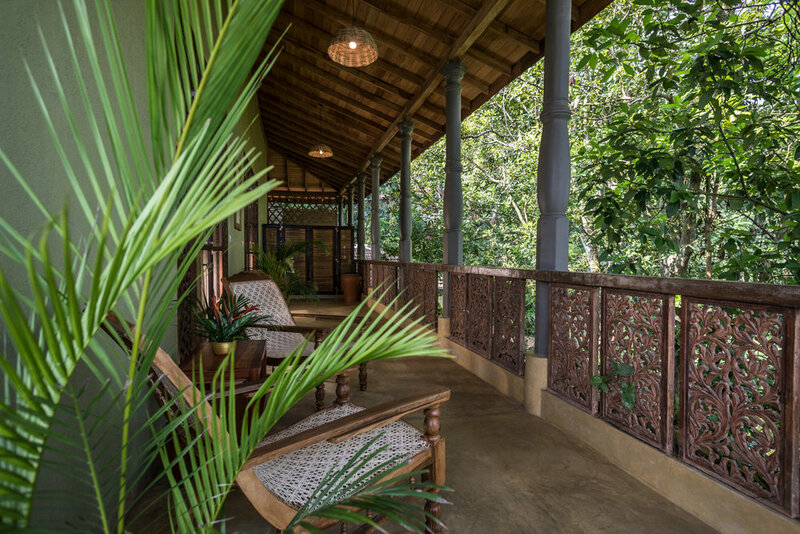 Furnished with unique furniture, fittings and original wall paintings, the room offers its own terrace with comfortable seating and also has its own garden overlooking the hotel gardens. It has a double king size bed is very spacious.